The Cypress Bend neighborhood is located in Cedar Park, TX off Cypress Creek Road and El Salido Blvd. The neighborhood was developed between 1987 and 1995. Long time residents of Cypress Bend recall the neighborhood being surrounded by cow pastures and farms when it was built. As Cedar Park has grown into a suburb of Austin, Cypress Bend has seen a lot of changes. The City of Cedar Park developed Elizabeth Milburn Park adjacent to the neighborhood which features a large playground, swimming pool with water features and slides, a community garden, soccer fields, tennis courts, a walking track and BMX track. There are many events hosted at Milburn Park throughout the year. Residents in Cypress Bend have the luxury of walking to see fireworks twice a year, attending various festivals, movies in the park and more. It’s definitely a major perk to living in the neighborhood. Cypress Bend is also conveniently located within walking distance of Cedar Park High School, Cedar Park Middle School, The Goddard School and Summit Christian Academy. The neighborhood is zoned for Naumann Elementary, one of Cedar Park’s smallest elementary schools in student population, just five minutes away. Cypress Bend’s convenient location allows easy access to Lakeline Blvd and Anderson Mill Road, making commuting via FM 620, US 183 or SH 45 a breeze. 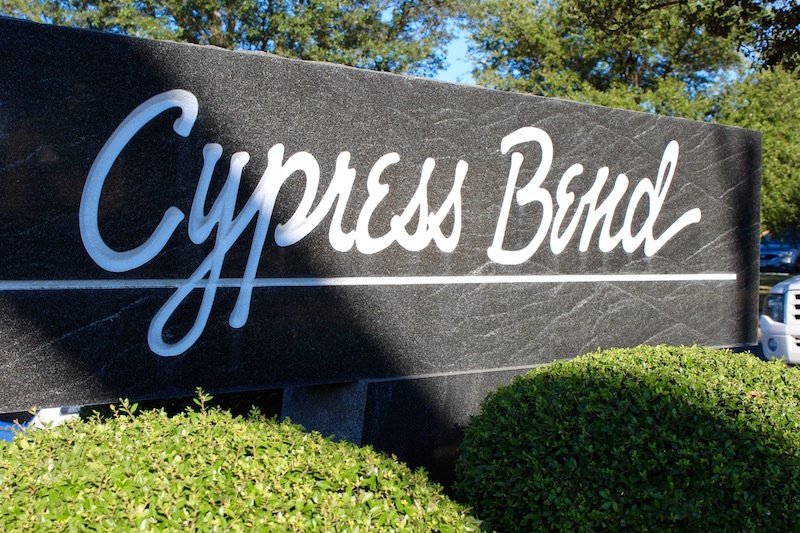 Cypress Bend has a voluntary HOA with annual dues of $40. Neighborhood residents are active on the private community Facebook Page and on NextDoor. They also host several fun family events throughout the year, creating a true community feel. You get the best of both worlds in Cypress Bend. A small town community feel and easy access to all the modern amenities and conveniences you could need. If Cypress Bend is the lifestyle for you, contact Christina Legrand at RE/MAX 1 for more information or to view any of these lovely homes. Cypress Bend is a small neighborhood and often there are no homes on the market. If you are specifically looking for a home in Cypress Bend, contact me and I will find you one!